If you take Alice in Wonderland, Tim Burton, and The Labyrinth this is what you would have. 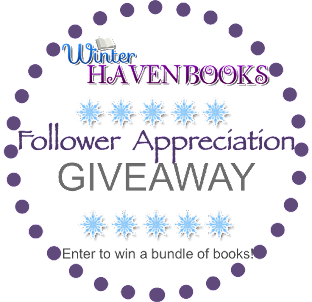 A fantastical adventure with whimsical characters (that are a bit creepy) and a very inventive story that will leave you wanting more. Ms.Howard you are amazing. Okay so take everything you thought you knew about Alice in Wonderland and put it aside. 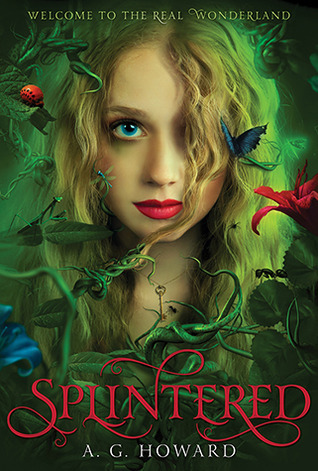 Splintered takes everything about this classic tale and turns it upside down. The story starts off with Alyssa, a girl who has a very interesting tie to Alice, she just so happens to be her ancestor. 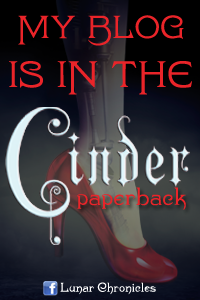 Alyssa knows that the women in her family are cursed and that it all started with her ancestor Alice Liddell. When she starts hearing bugs and flowers talk like her mother she realizes that the curse has been passed down to her as well. With her mother locked up in an asylum, Alyssa fears what will happen to them both if she doesn't find a cure. To save her family Alyssa knows she must travel down the rabbit hole, but what she finds there is nothing like the story and what unravels is pure brilliance. I have to give major props to the author for this amazing tale. I can tell that a lot of research went into this and I absolutely loved how she wove the original story into her own. Everything was there from the Queen of Hearts to the White Rabbit though they were in very different forms. I am just in awe at Ms.Howard's creativity. The whole spin she put in it really brought a new level to the classic and I thought the twists with the curse and a few of the characters was so much fun! I never saw them coming! Alyssa was a wonderful character that I fell in love with from the start. Her journey was not an easy one and she totally held up her own. I loved Jeb as well, but I can't cast Morpheus aside. He is a very strong contender even if he is a bit shady, but for some reason I forgive him for his wrong doings. He is a very unique character that stands out to me among so many others I have read as of lately. All around the characters were amazing and the moments between Alyssa and Jeb made my heart melt while the ones between her and Morpheus made my heart pound. I am very curious how all that will play out. This story is beyond amazing and I am hoping with every piece of me that there will be a sequel. I love this colorful world and I am not ready to leave it just yet. Nice review. This sounds like my kind of book! I'll have to get my hands on it. Thank you! Yay I hope you like it! Awesome! You have to let me know your thoughts!! I am so torn between Morpheus and Jeb! I LOVED this book. I cannot wait to get my hands on a copy. The cover is amazing! I gave it 5 stars. It was so different from anything I've ever read. Me too! I ordered my copy the minute I finished it because I have to have a copy for my shelves lol. I agree it was so different and the world building was incredible!! I am praying there will be a book 2! Like you, I am in awe of the wizardry of Ms. Howard--this book is going to rock the book world. I am so glad that you liked it! I totally agree, I think she is going to totally be the favorite next year!! I am really excited to start this one now! It sounds so amazing! Yay! I hope you get it soon!! SPLINTERED was definitely one of my favorite reads this year. It was equal parts creepy and absolutely beautiful. I LOVED the writing and the characters and GAH - I could gush and gush for days. that cover is SO gorgeous. I had to pause and have a good stare of it.